Video-based resources for staff training, when and where you need them. Deliver outstanding professional development opportunities for your teachers and staff with Mediamerge’s acclaimed lesson observations, evidence-based teaching series and a growing selection of supporting materials that are exclusively available to members. Thousands of schools, training providers, ITT centres, and prominent government bodies trust Mediamerge resources to support teacher training and ongoing professional development. Never be caught without materials for your next training session again. Subscribe for unlimited access to all staff. *If paying by card, instant access is granted. Purchase orders and invoice request may take up to one working day to process. What do you get with all lesson observation memberships? Lesson observation videos: teacher’s introduction, lesson and teacher’s feedback. Supporting materials: lesson plans and question prompts to get your CPD sessions started. Professional feedback: each lesson includes a written professional feedback focussed on the learning and teaching seen. Member exclusive content: all subscriptions give you access to additional members-only content. Observing for Impact: a comprehensive set of training materials to conduct your own lesson observation CPD. Unlimited access: subscription allows access to all staff. More content, one fee: as it is produced, new content will be added to the groups you have subscribed to at no additional cost. Flexible licensing: licences for educational institutions, ITT organisations, and commercial training providers are available. Instant access to primary, secondary, A-level & FE lesson observations (depending on your subscription). 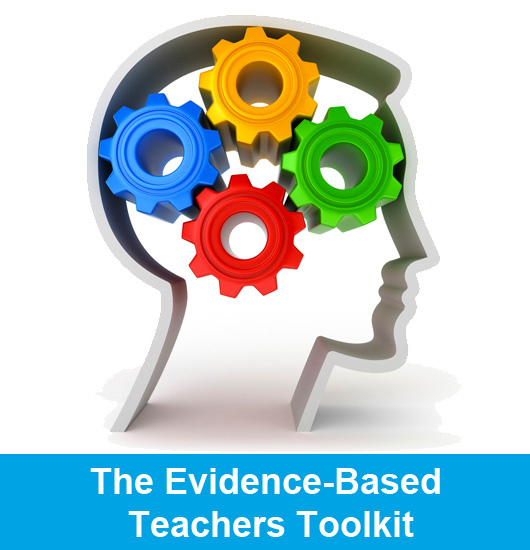 The Evidence-Based Teacher’s Toolkit is a series of video-based resources where we take evidence about teaching and learning and make it more accessible to teachers. Like Evidence-Based Medicine, Evidence-Based Teaching uses methods which have been thoroughly tested and proven to be effective. Teachers can make a huge difference to their students’ learning, and using evidence-based methods within their practice will empower them to support pupils even more effectively. The resources are useful to both experienced teachers, and those that are intending to join the profession, teacher trainers, managers, and others trying to improve learning and teaching. Find out more or subscribe today for great value CPD. For all staff for internal staff training purposes. Deliver exciting INSET sessions for your staff, use in inductions and recruitment. If you are a training provider (ITT) or consultancy delivering teacher training/development, please contact us for licensing fees. School cluster, multi-academy trusts and federations may be entitled to discounts. Please contact us for further information.